Just as Shutterfest came to a close, I connected with Krissy, a local model in St. Louis. 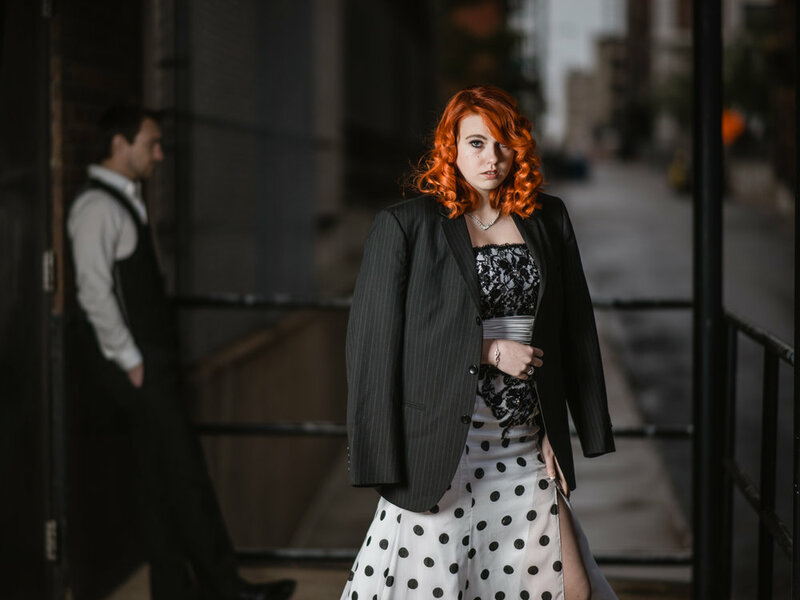 She had been shooting like crazy throughout the conference, so we began planning a shoot with a mobster/gangster concept after Shutterfest closed. By Thursday, everything came together and we were ready to shoot on Friday, despite the lingering rain clouds throughout the area. We met up late Friday afternoon, with only a half and hour open to shoot. Despite the short timeframe, we worked between rainclouds to capture the below images. Ultimately, I think it was a successful portrait session, especially given the short window of our shoot. Although after editing everything, I've had this strong interest to rewatch "Who Framed Roger Rabbit." Anyway, check out the images below and don't forget to check out Krissy's Instagram.